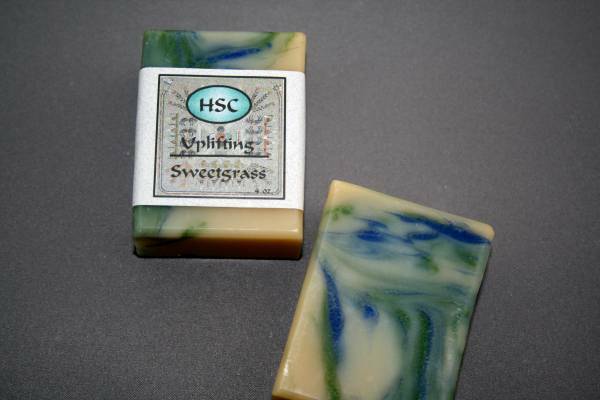 Comfrey is well known for its healing qualities and is wonderful for sensitive skin. 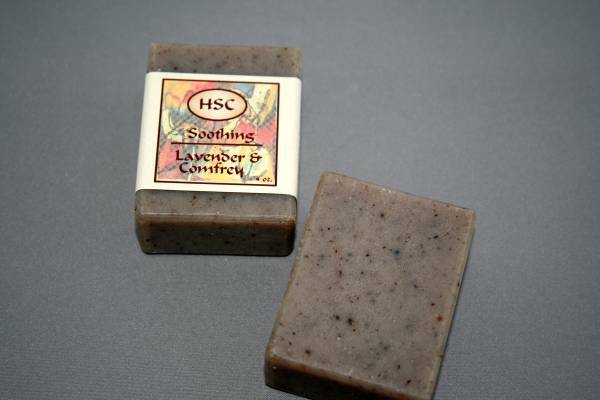 Lavender, Rosemary, Comfrey Root Powder and Aloe have been added to this soap for their soothing qualities. Try it in the summer for sunburned skin! Distilled Water, Saponified Oils of Olive, Coconut, Palm, Palm Kernal, Castor and Soy, Essential Oils of Lavender and Rosemary, Comfrey Root Powder, Aloe Vera Extract and Vitamin E.